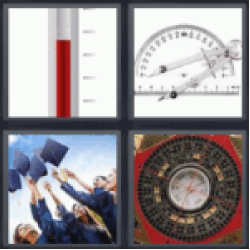 4 Pics 1 Word Thermometer. Protractor and compas. Graduation caps. Compass like meter.